The Commercial Department at Davenport Heating & Cooling is here to serve all your needs, from light commercial to industrial HVAC applications and commercial refrigeration. We are a company that is committed to excellence in every aspect, from installation to service to customer care. Give us a call and let us take care of all your commercial needs. 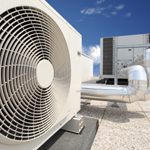 We provide Heating, Cooling, Furnace & Air Conditioning Installation, Repair & Maintenance in Davenport, FL and the surrounding area.